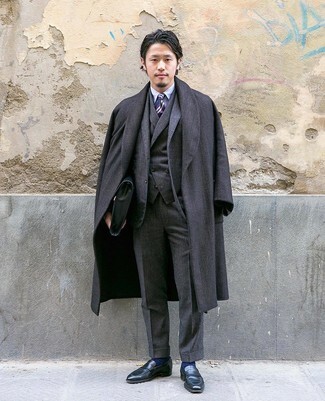 Contrary to what you might believe, being a dapper dude doesn't take that much the office. 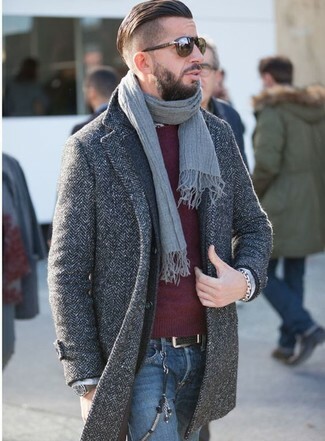 Just try pairing a Saint Laurent herringbone coat with blue jeans and you'll look incredibly stylish. 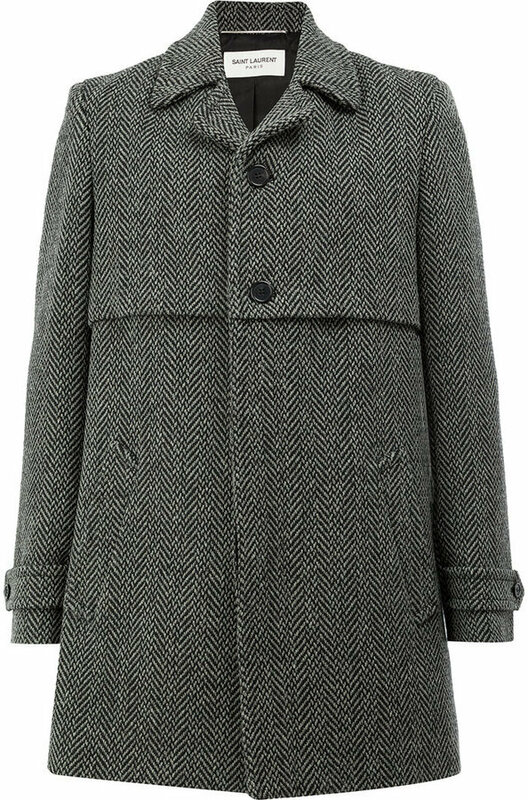 For a casually elegant ensemble, consider wearing a Saint Laurent herringbone coat from farfetch.com and charcoal jeans — these items play beautifully together. When it comes to footwear, this ensemble pairs nicely with dark brown leather casual boots. 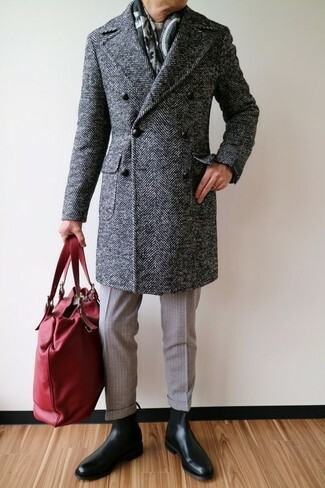 For a nothing less than incredibly stylish look, consider pairing a charcoal herringbone overcoat with beige wool dress pants. Go for a pair of black leather chelsea boots to make the ensemble current. 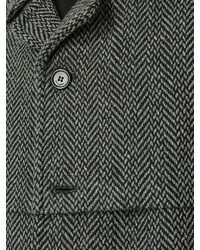 Consider pairing a Saint Laurent herringbone coat with black dress pants like a true gent. Contrary to what you might believe, looking sharp doesn't take that much the place of work. 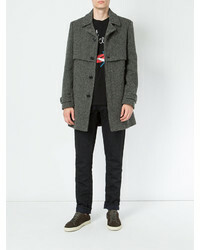 Just marry a Saint Laurent herringbone coat from farfetch.com with black chinos and you'll look amazing. For something more on the daring side to complement this ensemble, choose a pair of tan suede work boots. If you're all about practicality dressing when it comes to your personal style, you'll love this on-trend pairing of a Saint Laurent herringbone coat and blue ripped skinny jeans. Channel your inner Ryan Gosling and throw in a pair of white leather low top sneakers to class up your outfit. 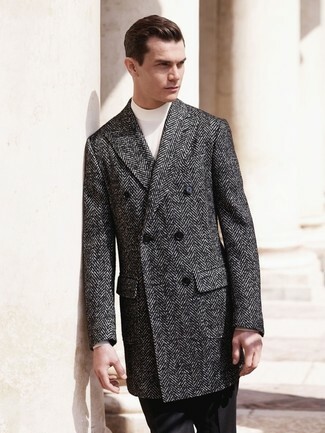 Pair a Saint Laurent herringbone coat with grey wool dress pants for a sharp, fashionable look. 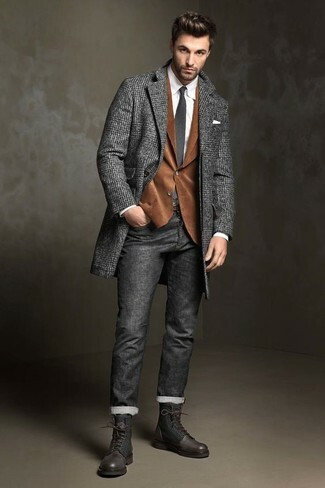 Consider wearing a Saint Laurent herringbone coat and a charcoal three piece suit for a sharp classy look. 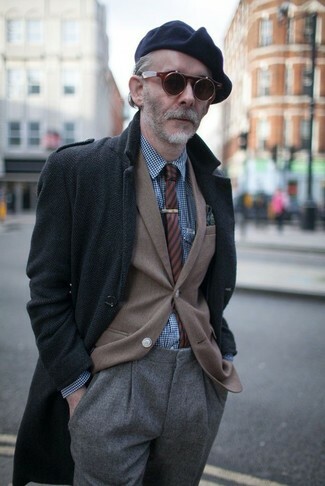 For something more on the daring side to round off this getup, rock a pair of black leather loafers.